Clower & Associates expertise and craftsmanship are customized to meet the needs of each of our clients. 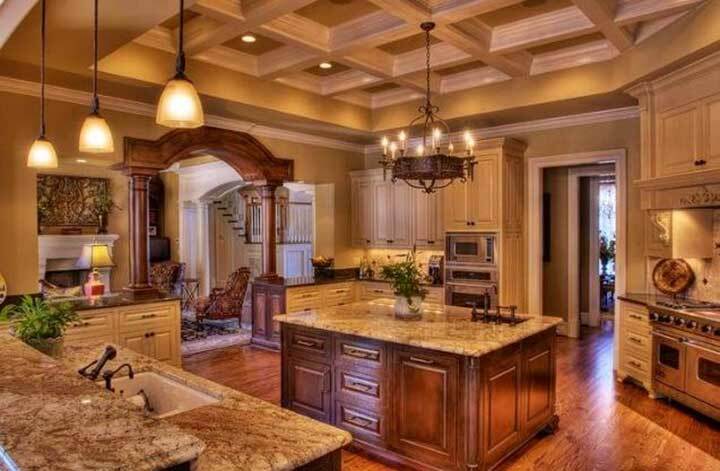 Whether you are designing and building a new kitchen, remodeling an existing one or replacing one that was lost due to a fire or other disaster, our finished product will be a kitchen that you will be proud of as the centerpiece of your home. We are a full service general contractor that works well with designers, architects and the homeowner to make sure your new kitchen is exactly what you were looking for. We provide full coordination of your project with your designer/architect and any other sub-contractors that may be involved in constructing your kitchen. From the planning stage through to the project completion including site cleanup, Clower & Associates will be there to make sure you, the homeowner, receives the quality of craftsmanship that we have been known for since 1985. Our goal is make sure that you love and are proud of your new kitchen, we will settle for nothing less.